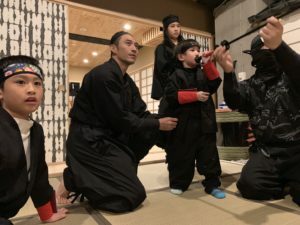 【2019.02.22 is The World Ninja Day! 】 | HOKKAIDO NINJA DO! Beginning of February, the snow festival is finally coming! Each of our ninjas won`t fall behind even the snow festival, would not give up training every day! So, why it is so special on February 22? February 22 = 2·2·2 = Nin-nin-nin! Yes, reading it in Japanese on February 22 is “the day of the ninja”! It seems that some people would say that “isnt it a joke”, but actually it has been certified by the “Japan Memorial Day Association” and it is a formal anniversary. 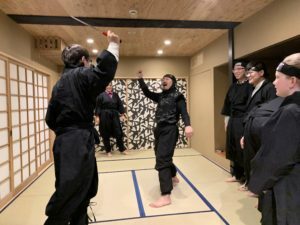 Our Ninjado in Hokkaido, with this “Ninja Day”, offers a limited special price for ninja experience on February 22 (Thursday)! All 2,222 yen (tax included)! ! Please apply from the regular booking form on the official website above. In this case, please add “Ninja Day Booking” in the “Inquiry” column. February 22 is Friday of the working day, but we are still waiting for you! ※The experience content are the same as usual. 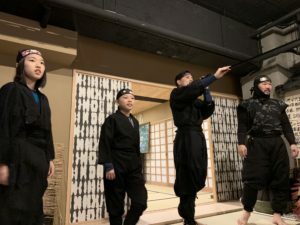 In addition, activities related to this “Ninja Day” are being held throughout Japan, please click and check.